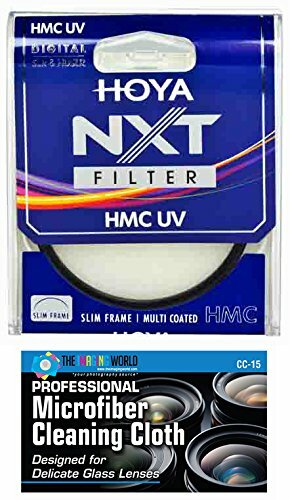 The Hoya 52mm UV Haze NXT HMC Filter is a general use, clear filter that helps to absorb ultraviolet light. No additional coloration or contrast is provided, allowing you to pair this filter with others. Absorbs UV light, which can cause outdoor photos to appear hazy and indistinct - Clear filter provides no additional coloration or contrast, allowing you to pair this filter with others.